The state of Texas executed Robert Ladd on Thursday via lethal injection, after the Supreme Court rejected arguments from the American Civil liberties Union (ACLU) that he was mentally impaired and ineligible for the death penalty. The ACLU contended Ladd’s intellectual disability was well-established. In 1970, at the age of 13, he was described as “fairly obviously retarded” by the Texas Youth Commission, and three interviews with a psychiatrist confirmed the diagnosis. However, the Texas state assistant attorney general, Kelli Weaver, said courts had already rejected the idea that Ladd’s disability was grounds to spare him the death penalty, despite his IQ of 67. That argument "has been repeatedly rejected and he argues neither a new factual basis nor a new legal basis on which the judgments of the state and federal courts should be questioned," Weaver said, according to the Associated Press. Courts in a handful of states have adopted the standard that anyone with an IQ of 70 or below is considered intellectually disabled, although the Supreme Court has contested this view. 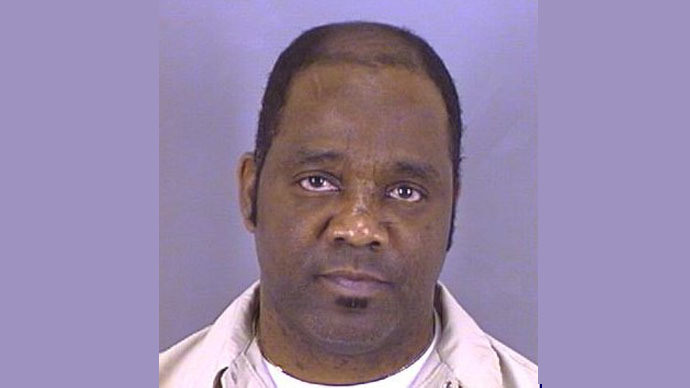 Ladd was on parole when he strangled and beat to death 38-year-old Vikki Ann Garner in 1996. His attorneys have not contested his guilt. Ladd was previously convicted of a triple slaying in Dallas. The court also turned down an appeal from Ladd’s attorney over the argument that the use of lethal injections would cause pain and suffering that is unconstitutional. Despite its unwillingness to consider a plea over lethal injections in this case, the US Supreme Court announced last Friday that it will review the execution procedure used by Oklahoma after the state used a controversial drug cocktail to put an inmate to death earlier this month. According to the lawsuit filed by three death row inmates, Oklahoma’s lethal injection combination violates the Eighth Amendment of the Constitution, which protects Americans from cruel and unusual punishment. The inmates argue that the sedative midazolam, which is used by Oklahoma during executions, is not strong enough to knock inmates completely unconscious and protect them from pain. Additionally, the lawsuit states that since midazolam is not considered effective enough to use in surgery, it should not be used for lethal injections. There has been a greater focus on state execution procedures in recent years, since many of the drugs traditionally used by correctional departments have become difficult to purchase. Pharmaceutical companies in the European Union – where most of the drugs are procured – have been barred from selling to departments intending to use the drugs in lethal injections. This has left many states scrambling for alternatives.